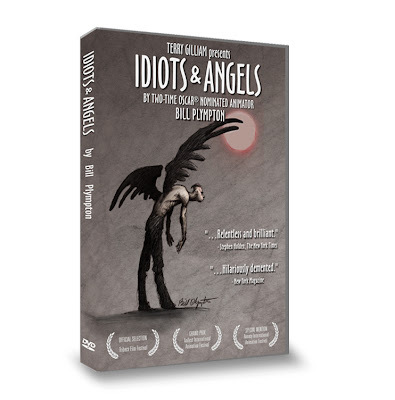 Scribble Junkies: "Idiots and Angels" on DVD! 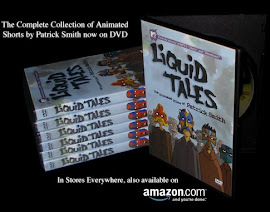 As you probably already know the entire release schedule of my animated feature "Idiots and Angels" has been a long drawn out affair. 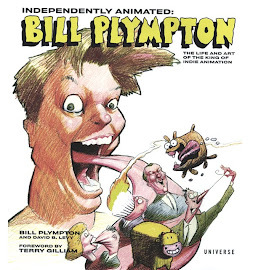 The film premiered at the Trideca Film Festival in 2008. My agent and I tried to fund the proper distributor for 2 years - having no luck, I decided to self-distribute with the help of Allen Chou at Passion River films. But now we're excited to announce after a very long wait that the DVD will be released on the 4th of July. That's right we want fireworks for the world premium of "I & A" on DVD. 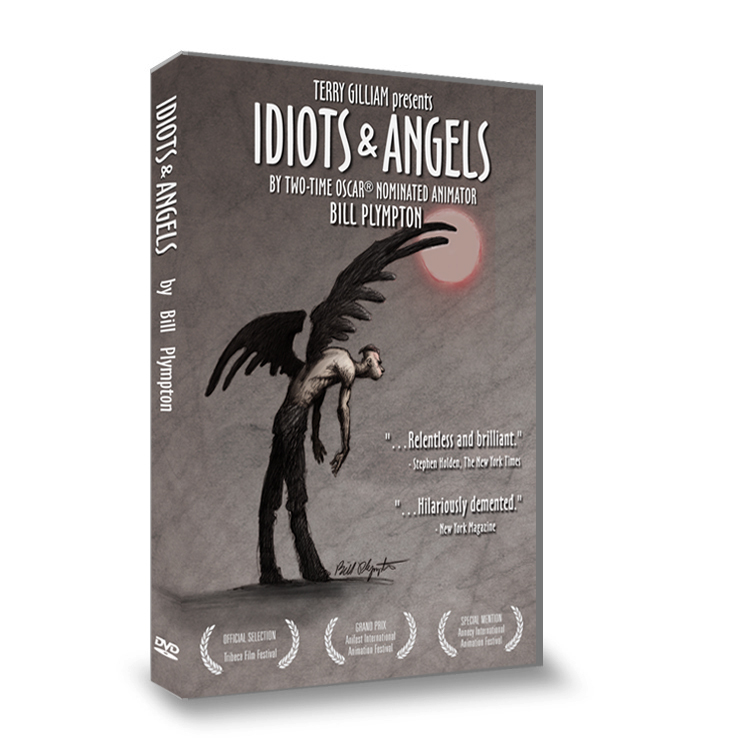 For 3 years now, people have been asking and me when can they get "Idiots and Angels" on DVD. And I always had to admit that it would be a long wait - well now that wait is finally over - "Idiots and Angels" is now available on DVD! You can pre-order here on our website. I highly recommend you get it. The film is by far my best feature film - you'll love it to death. So tell all your friends to get "I & A" and have "Idiots and Angels" parties!